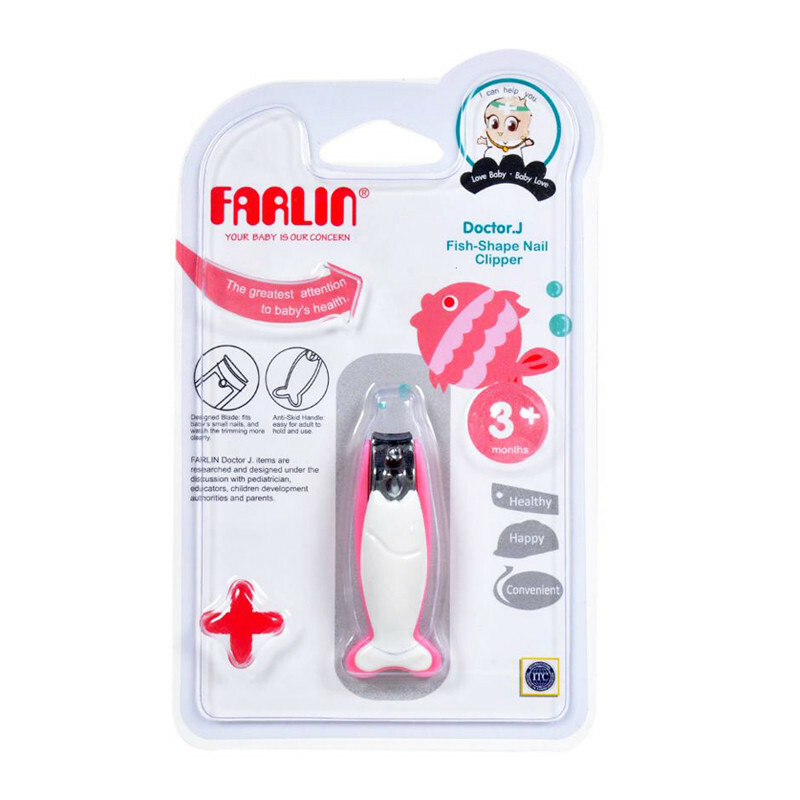 Have an easy time clipping your little one's nails with the stylish Farlin's Fish-Shaped Nail Cutter. Prevent dirt and keep your baby's little fingernails clean at all times! Fish-Shape Nail Clipper. File piece at the bottom can be used for filing the nail. Special anti-skid design at the holding stem for easier and firm operation. The size of the front of the clipper is just fitting to baby's small nails. The unique design of small cutting blade to watch the nails clearly, to avoid danger from hurting baby's finger The designed shape of the handle is easy to hold and operate firmly. The unique design of small cutting blade to watch the nails clearly, to avoid danger from hurting baby's finger.